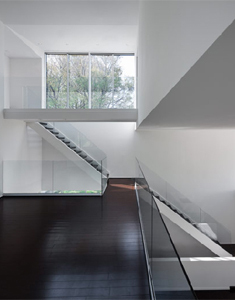 David Jameson Architect Inc. renovated this house for a young family located 8 kilometers north of Washington DC among a subdivision of utilitarian post war houses. 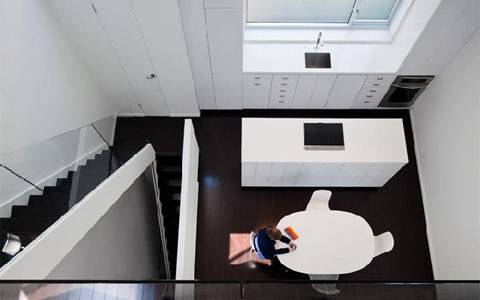 The 210 square meters residence takes the form of a simple mass whose purity is interrupted by the void space of a carport. Bounded by an introverted exterior, luminous living spaces unfold in a series of interlocking volumes intersecting diagonal slices through space. Cement board sheets are sheared into abstract siding shingles that contribute to the unreadable scale of the building. 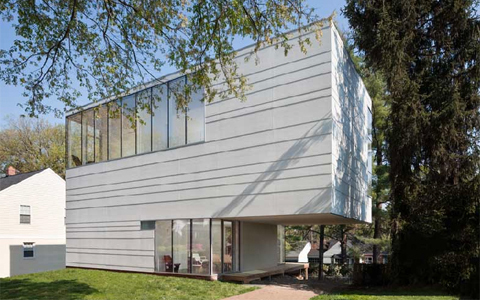 Posted in Architecture | Washington DC White House USA David Jameson Architect Inc.